Last week was a whirlwind of astrological shifts. Mercury moved into the sign of Virgo. Saturn turned direct after five months in retrograde motion. 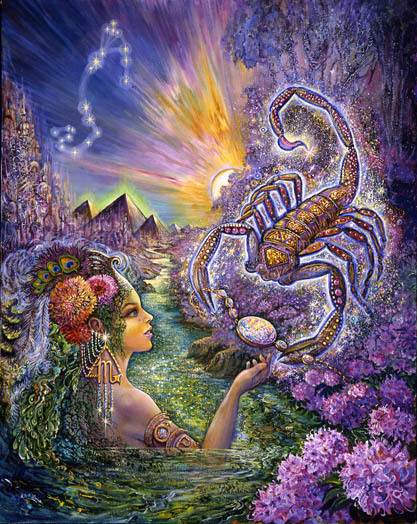 Venus entered the sign of Scorpio. Mars re-entered the sign of Aquarius. And there was a new Moon in the sign of Virgo. 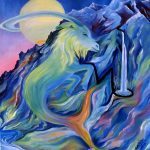 Uranus, retrograding in Taurus, continues to harmonize with Saturn, now direct in his home sign of Capricorn. It’s the background music. Breakthroughs to progress can now be set in motion. Pallas, the “Goddess of War” is prepared and favorably situated with a practical, common sense strategy for success. A grand trine involving Saturn, Uranus, and Pallas is now in play. It’s wise to take advantage of the opportunity to break through long standing restrictive habits and patterns when the astrological winds are at your back. This moment in time is a rare cosmic gift. But it’s influence is time limited. Currently Uranus opposes Venus and Mars squares them both. This is a powerful t-square characterized by conflict and a missing “leg” of the equation. It’s the “Leo leg”. The dilemma is balancing the interplay between churning transformations and foundational stabilization. Mars in Aquarius suggests the value of rebelling against what what one permissible – what we once permitted. We have to consciously and deliberately provide the “missing leg”. 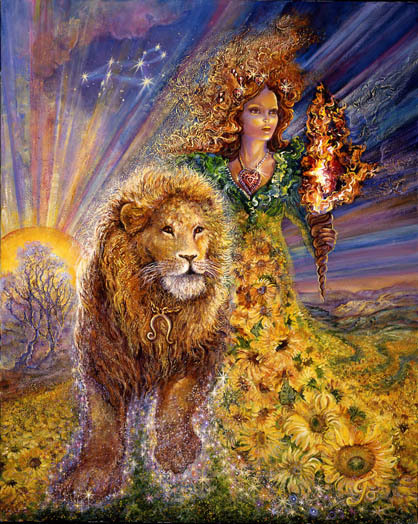 In Leo this implies prioritizing joy by creating environments that encourage it. Mars in Aquarius squares Venus in Scorpio. Relationships require a new types of action that may be unprecedented. 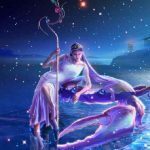 Venus in Scorpio requires the willingness to engage with something deep, dark, and complicated for the purpose of uprooting the cause of dysfunction and pain. Aquarius is ruled by Saturn. Mars is impatient for a resolution but not reckless. He understands the importance of a determined, confident, authoritative approach to get what he wants. He doesn’t doubt the benefits of preparation, timely disruption, and his right to ensure the achievement of his dreams. There can be no doubt that he mean business. And there can be no doubt that you mean business. No need to club anyone over the head if you’re secure in the rightness of your cause and confidently convey that. Timetables for progress may need to be set. 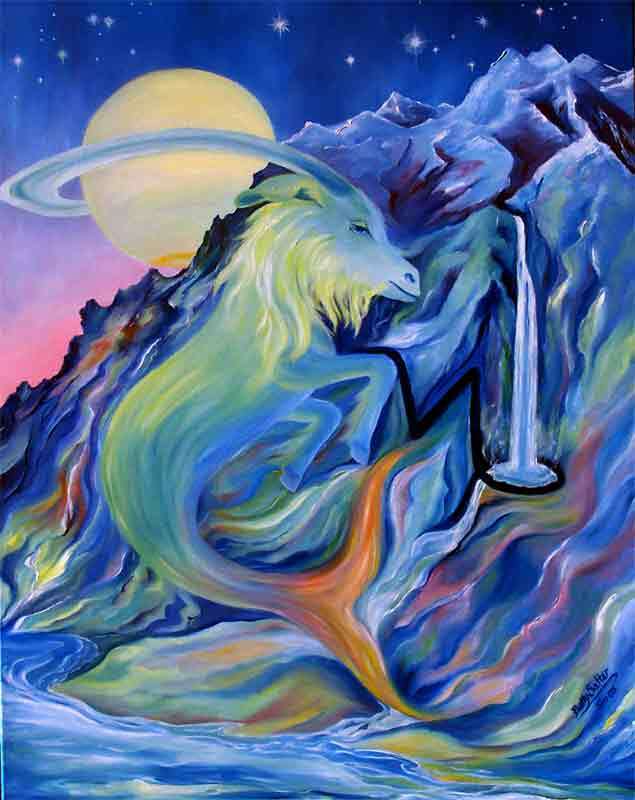 Saturn in Capricorn is “father time” at his most powerful. We don’t have forever to do what needs to be done. No one has the right to “run out the clock” on our life, our dreams, or the improvements you desire to set in motion. But you may need to initiate an uncomfortable conversation and to demonstrate your determination. Mars in Aquarius is known to say “no” to things he’s previously permitted. Mars in Aquarius is comfortable reversing his position when he realizes that restriction and fear within the realm of relationships is deadening. Mars in Aquarius knows how to reverse the trajectory. He’s counter-cyclical by nature and “in his element” doing what’s least expected. He “zigs” when others “zag”. He’s swims against the tide. It’s his most effective method – especially when the tide is moving him in a direction that feels unjust, oppressive, and confining. Because relationships are notorious for presenting you with the specific challenges you need most to break free of “prisons of your own making”, this is a critical time to tell yourself the truth about what needs to be fixed and whether or not you’re willing to fix it. Because we’re dealing with Scorpio the stakes are especially high within the realm of relationships. The fear-factor is high. The intensity is high. But so is the possibility of fixing what needs to be fixed. 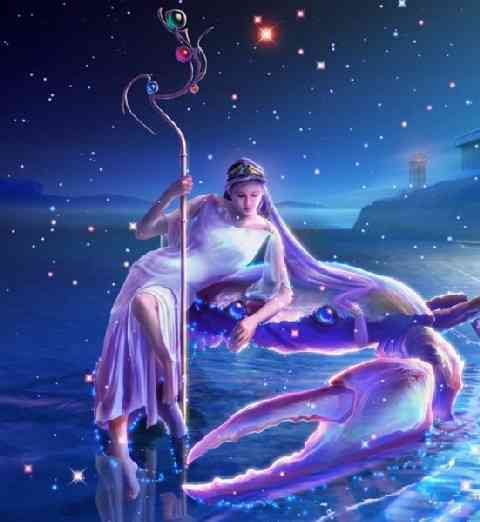 On Friday Mercury in Virgo opposes Neptune in Pisces. Something practical and necessary needs to be balanced with something mystical, magical, inspiring, and compassionate. An infusion of compassion for the ways in which you’ve oppressed or downsized your dreams may come into play. Something that is fake, misleading, distorted, or diminishing may need to be clarified and eliminated. Something soulful you’ve dismissed or undervalued may need to be nourished. Pholus and Juno are aligned in an inconjunct. This aspect often expresses as the need to make some major adustment to prevent the lid from “blowing off” something you’re still committed to. It suggests a pivotal turning point involving a long standing, heart-felt commitment. Jupiter trines Pluto this week. This is amplified power. It’s wealth that falls in your lap through no specific effort of your own. It’s good money karma come due. Passive forms of wealth including inheritances or the benefits that flow in your direction from financial or personal partnerships are highlighted. Blockages to the accumulation of wealth are being removed. 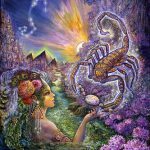 But because Scorpio and Pluto are involved this could indicate wealth that is achieved through unscrupulous means. Obviously it’s wise to play by the rules. This is a fortuitous time to eliminate a “scarcity mindset” and to use your amplified power to do the most good for the greatest numbers. Chiron, the wounded healer, is placed on your powerful Solar Ascendent. He’s on the cusp of slipping back into the 12th house and into the sign of Pisces. This opens an incredible flow of psychic information related to old wounds, to deeper insights into abuse, to ancient memories, access to artistic or healing inspiration, guides assigned to assist you, and people who love you who have passed on but remain available for “consultation.” If ever there was a time to keep a pen and paper at your bedside, just in case you’re awakened by a dream or a flow of information that feels mystical and informative, it’s now. A chiron wound never completely heals but it is a distorted source of strength. It’s fuel for the mavrick-y side of you that just knows how to operate absent all the normal rules. It’s something that can’t be taught. It just is. And you just know. So there’s not much you can do other than pay attention to what feels elusive and try to capture it at least long enough to support a forward leap in your level of understanding. This week may change the nature of the relationship you have with yourself in the direction of something truer and more authentic. 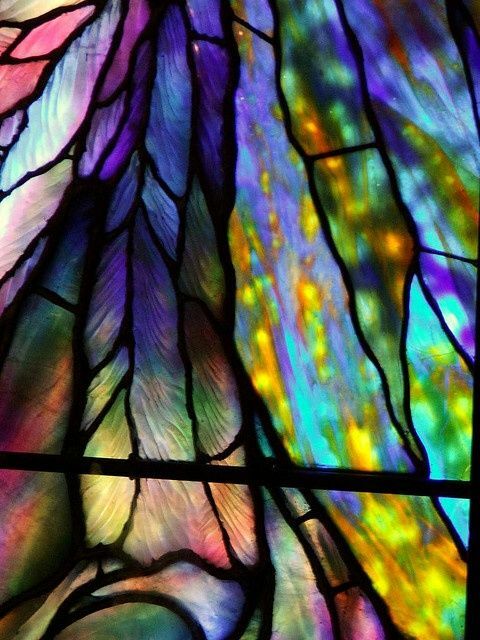 It’s enlightening in the most mysterious, unexpected ways. 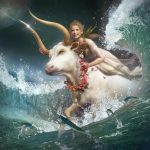 Taurus is feeling the need for more space and freedom. It’s a break out time in terms of the roles you’ve traditonally played. Mars is the most elevated planet in your chart at the moment. He’s throwing the old playbook overboard but senses the need to be well prepared, practical, mindful of the effect of his words, attentive to detail, instinctively attuned to timing and the possibilities of the moment. The unfettered pursuit of your creative dreams is the prize currently within reach. But relationships are complicated. Partners are formidable. Appeasing the beast or unraveling a complicated web without upsetting a tenuous balance may be part of the picture. Fear of the future can be controlled through regular, disciplined cultivation of your preferred vision for your future. 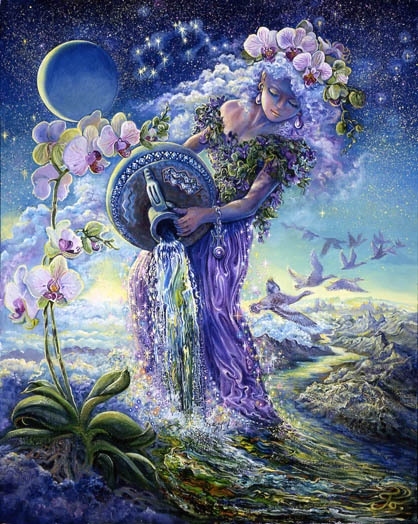 The astrological scene that emerges is you completely in charge of your own highly successful, creative enterprise. It’s purpose is to provide for others the kind of environment they need to feel safe, secure, and in control of their destiny. It’s the kind of environment you need to create for yourself. Timeless beauty is what motivates you. 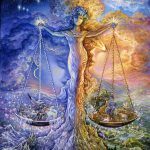 There may be some confusion or enhanced psychic awareness involved in bringing your domestic and professional life into balance. On a higher level you’re job is to be the practical, no-nonsense, voice of reason, ensuring that the channel between “heaven and earth” remains open. 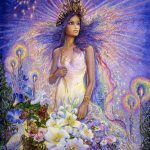 Esentially you channel a grounding effect for those attempting to apply their artistic knowlege, mystical know-how, or psychic openness in service of themselves or others. You are the conduit that makes application and success possible for those who would otherwise be confused, spaced out, lost, addicted, and wasting the mysterious talents they possess. You have practical strategies. But Black Moon Lillith in Aquarius is demanding some kind of (major) adjustment to enhance your effectiveness. Most likely it involves aligning yourself with something bigger and more worthy of your intellectual and emotional power. A big change is most likely being considered. 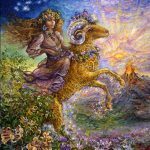 Pluto and Saturn in your 7th house of relationships may have you focused on workig through relationship challenges, specifically those related to financial issues and issues of survival. Fortunately you may have amassed some support from powerful friends, groups, and the strength of a persistent commitment to your dreams. Acquiring wealth through something resembling timeless beauty and a “return home” seems important. Mars in Aquarius is encouraging you to say no to something you’ve routinely said yes to. It may involve a financial partnerships, an exchange of funds, or an imbalance between what is received in return for what is contributed. Something simple, foundational, and loving is challenging something complicated, dark, and maybe untrustworthy. A push-pull dynamic is conspiring to set you free. Saturn is squaring Ceres in your fourth house of home and family. It may be impossible (or very difficult) to feel safe and secure under current circumstances. Your home may not feel like home. It may be challenging to face the possiblity of having to move. But change is beneficial. Something happier and less oppressive is within reach over the next few months. 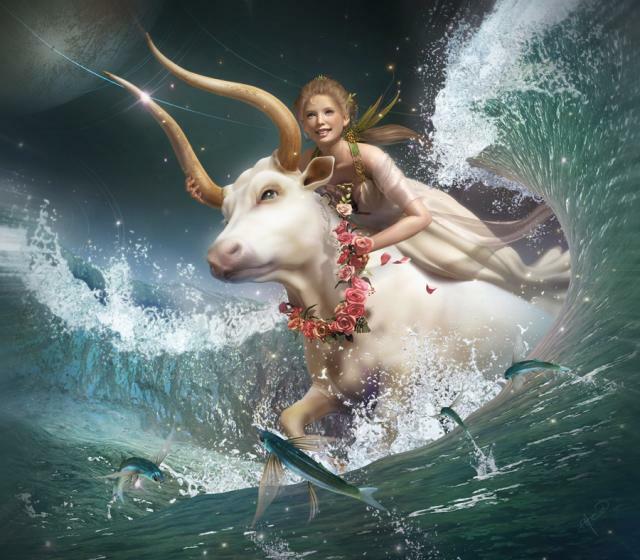 Uranus in the timeless, stabilizing, simply natural, sign of Taurus occupies the highest position in your solar chart. This is the guiding light pointing you in the right direction. It’s good to eliminate what’s not needed, to make some meaningful choices about what you will respond to and what you will let go. Simplifying can feel refreshing and energizing. The complicating factor seems to involve relationships – your relationship with your essential self, your home, family, and the past. this realm of experience can be a tangled web of distortion and darkness oulling you in. 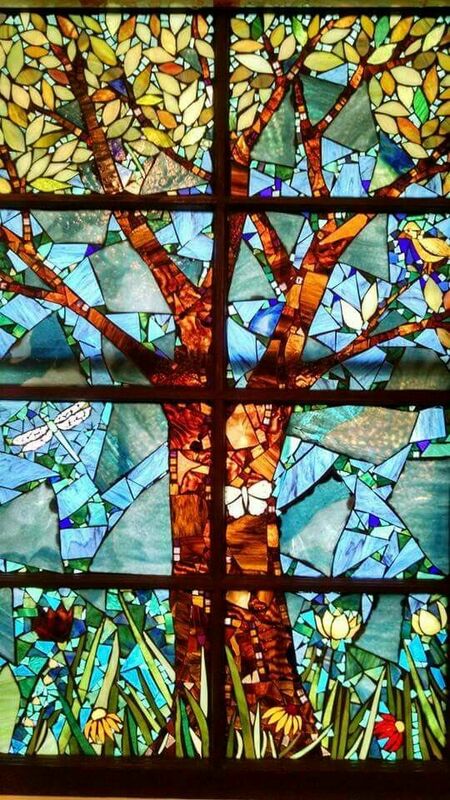 But like an overgrown garden that is blocking the light of something you’re trying trying to encourage to take root (a new beginning maybe) it would help to take out the pruners and to start cutting through what has become a deadening influence. In real life this may symbolize the condition of your garden. But metaphorically it’s probably related to the need for prioritization – or the need to identify what’s most meaningful to you. Taking the time to clarify what you’re striving to achieve and what you want most to survive, when all is said and done, renders decision making much easier and your life more abundant in the things that matter most to you. About twenty days ago a new possibility or new beginning was set in motion. It involved your style and approach to life and the role you are willing to play within the relationships. A new awareness has changed the game for you – and maybe a partner. Old patterns related to practicality and usefulness are currently in need of adjustment. Black Moon Lillith is playing a key role. She understands her capacity to overwhelm and control – intellectually and emotionally – anyone within her immediate vicinity. But it’s not enough anymore. There is something missing that needs to be remedied. Most likely it’s the need for more love and an exciting and challenging creative project – one that makes good use of your specific area of talent. Virgo is a talented business person. She knows how to make any enterprise successful and profitable. There’s the need for an engaged, mature lover – as opposed to someone who “phones it in” and expects that to work. 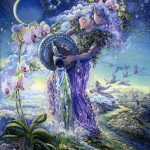 Virgo sets herself free by agreeing to listen to her heart, to identify what she longs for, what she loves – and to make that a priority. Your job at the moment is to make the changes that will open the floodgates to joy. Taking charge now and being the final authority over your own life is critical. Now is the time to address some of the relationship issues you’ve skipped over or pretended didn’t exist. Now is the time to backtrack and to re-balance the scales. Libra is ok with wallpapering over the cracks in the wall or to over-compromise when it would be disruptive to the peace or current status quo. Now is the time for a correction. Now is the time to acknowledge that there may be some underlying issues that need to be brought to the surface and worked through. Most likely some dark, fear-inducing stuff – things that makes you or a partner squirm – could be threatening to the relationship. Venus in Scorpio in your 2nd solar house suggests that a financial partnership may need some work. It also suggests that what you sacrifice or contribute in relation to what a partner sacrifices or contributes may not feel equitable or fair. A lack of trust may complicate intimacy issues. The need for more independence through the generation of a more substantial income, for example, could feel important. Uranus is urging you in the direction of something deeper – untangling yourself from old psychological conditioning or “the soft bigotry of low expectations.” Something fortunate within the professional realm can be anticipated by Nov. 7th. Venus exists under the cover of darkness from now until Halloween night. At that time she re-emerges, possibly in a more purified and accessible form. 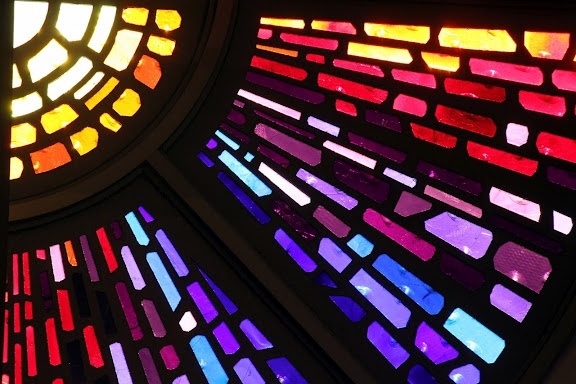 What to do in the meantime when the nature of love seems unclear, complicated, messy, or non-existent? Focus on giving rather than receiving. I’m not assumming you don’t give. I’m just making the point that you could benefit from intensifying your efforts in this regard. Find opportunities to support others, to show them through something meaningful that you care. Thank them for what they do and who they are. Show an interest in the things that interest them even if (and especially if) you don’t have the time and you’re not really interested. You get extra points for that. Place love in the context of a challenge to “up your game” and enhance your happiness. Find ways to be more patient and generous. 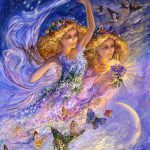 By Nov. 1st you will see relationships in a different light – especially the relationship with yourself. And you may be better able to use the gifts you’ve been given to align yourself with your professional dreams for the future. 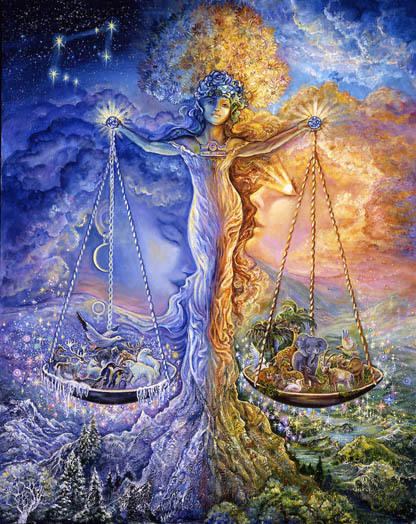 Jupiter in Scorpio is aligned in a beautiful trine with Pluto. This is significant for major progress in the direction of what you want to achieve. Usually (as explained above) this configuration represents a flow of wealth in your direction. But what might stimulate that is associating with the movers and shakers in your community, your field of interest, your place of business, or wherever you find them. Go out of your way to introduce yourself to someone powerful even if you feel they will not be receptive. Find a reason to send them a note, an example of your work, a letter of gratitude or admiration Ask them some questions. Get out of the house and into a boardroom if you can. The single most important distinguishing factor between those who achieve a great deal of power and success and those who don’t is who they hang around with. It’s not education, or mindset, or creative ability, or drive, ambition, determination, and all the things we usually think of when we think of successful people. So reach out this week. Timing is important and this week the timing is perfect. Vesta, the goddess of home and hearth, the entity that keeps the passion and the “roaring fire within” alive and well, is under the influence of Neptune and a dampening effect. You may feel tapped out, not as inspired, devoted, or committed to what you were once devoted to. That is temporary but it is an opportunity to notice some new things that have emerged while you were previousy pre-occupied with fiery enthusiasm. It seems that you are at a pivotal turning point when it comes to keeping the lid on old commitments. Adjsutments need to be made mainly in terms of compensation, stabilization, and freeing you up to love what you love with more time to pursue what you love. It seems that something is already in the works to move you past old blockages to progress. 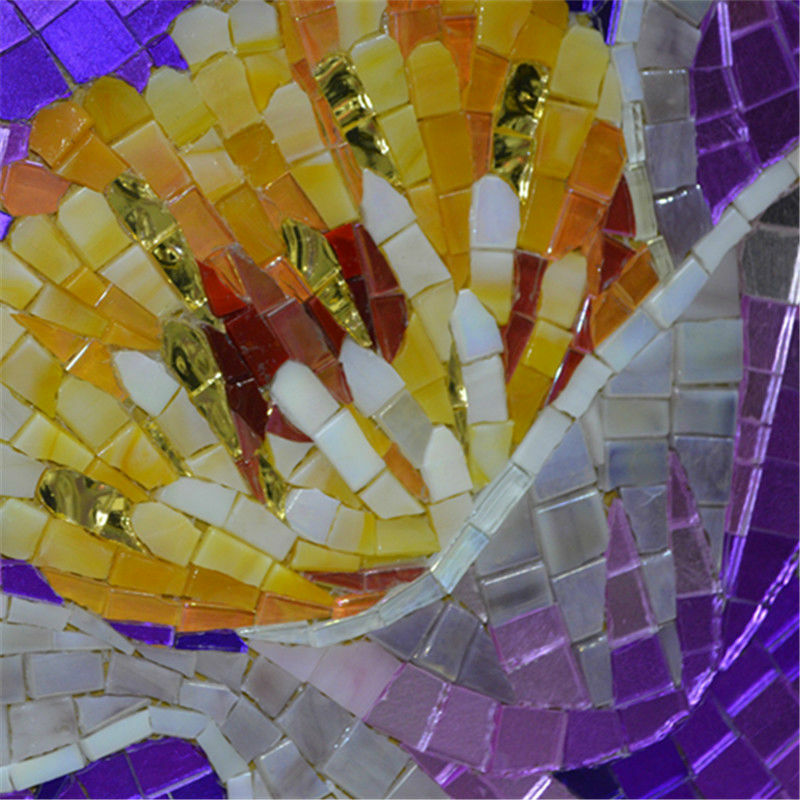 Saturn in direct motion is moving you forward whether or not you feel inspired. By next Tuesday the passion and fire returns. The nature of your commitments change on Nov. 1st. If you’ve had in the past week, someone say something to you that seemed to profoundly important and changed something about your approach or the way you operate based on a new level of understanding – that is (or was) to be expected. You are undergoing a rapid and profound phase of psychic progress. Mysterious but very practical and useful information comes to you through unlikely resources. You have less control than you usually do to direct the course of your life and that makes lots more things possible. Instead of working in the traditional way to make progress, psychic attraction draws to you the information and resources you need. 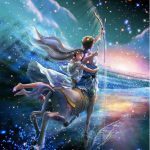 The more you’re willing to give up (temporarily) the reins of control and to let higher realms and mysterious sources steer your course, the more refreshing and freeing this unusual (once every 30 years) time will be. Expect the unexpected and don’t discount anything. The more “out there” the information (or information source) seems, the more relevant it might be. Relax into any radical insights you receive. The north Node has been placed in your discrimminating 6th solar house since May of 2017. It will be leaving this placement on Novemeber 7th. The cycle is drawing to a close. 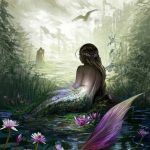 What’s most significant about this transit has been it’s ability to clarify for you the things that engage or enliven your soul – as opposed to all the other worthy things that don’t necessarily resonate even if they do for a large segment of the population. If all has gone well by the end of this cycle you will know that certain things are deeply engaging to you. And you won’t settle for less. You will know that certain things are capable of bringing you to tears or inducing shivers. And it’s very unique to you what inspires and what leaves you flat. 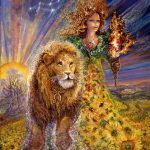 In the sign of Leo this may be related to children, to those who care for children, to those who use art to heal the lost and lonely, to those who selflessly support the gifted but disadvantaged. 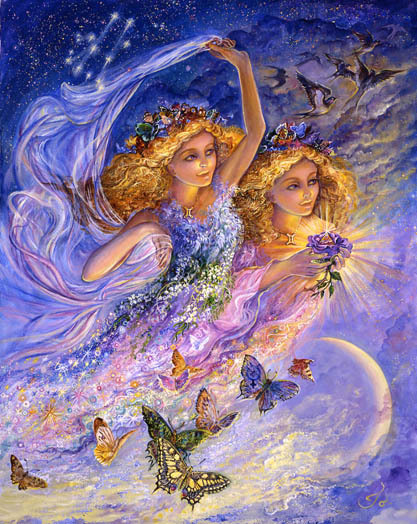 On Novemeber 7th you will experience a shift into your 5th house life purpose – the house of creativity and love. Maybe you will need to find a way to engage the souls of others through your own work. Maybe your highest calling for the next year will be to create a work of art that clarifies for others the nature of their own soul.